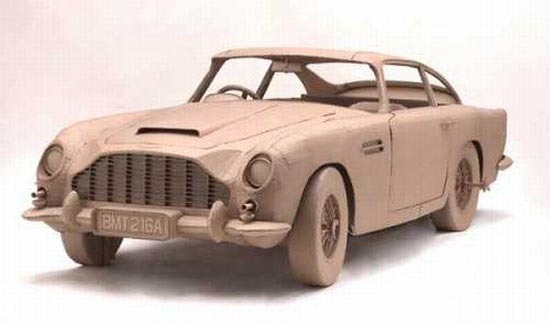 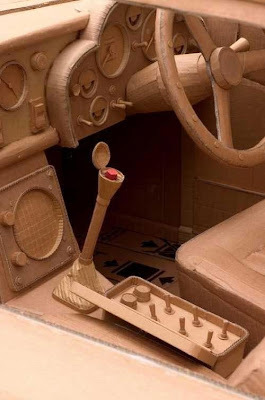 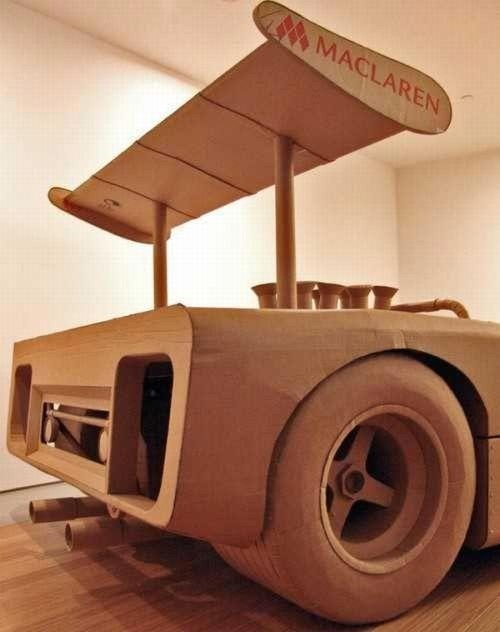 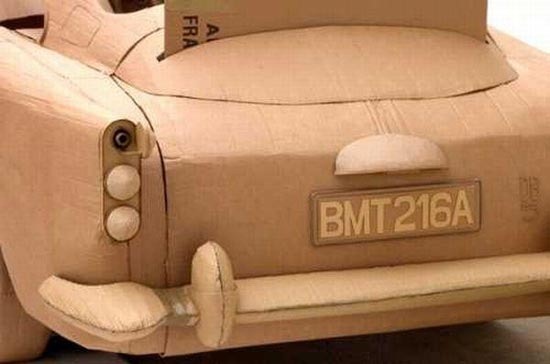 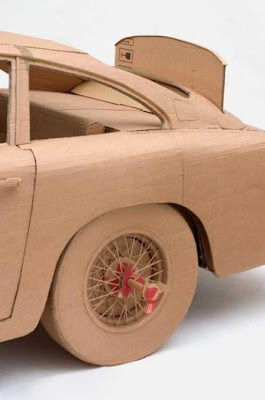 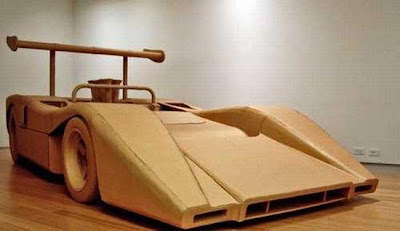 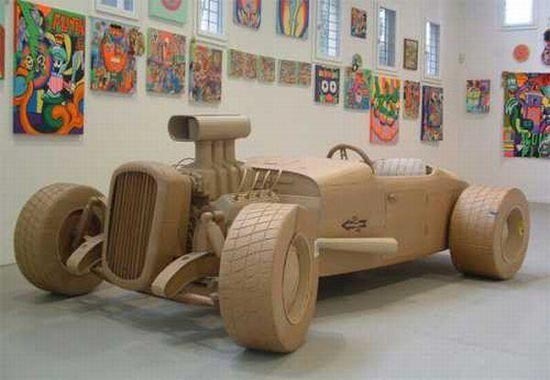 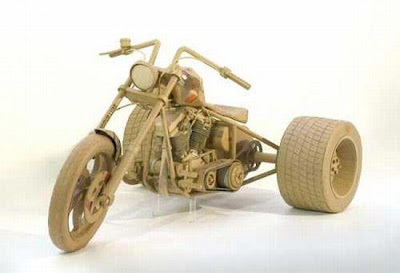 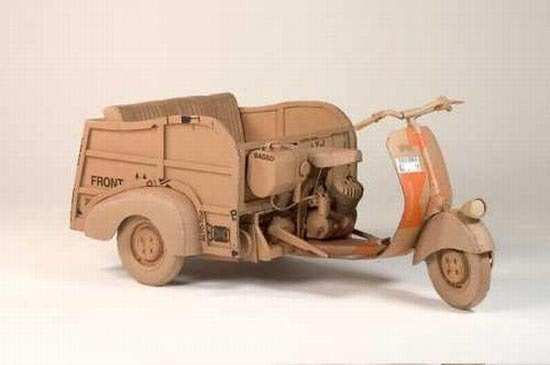 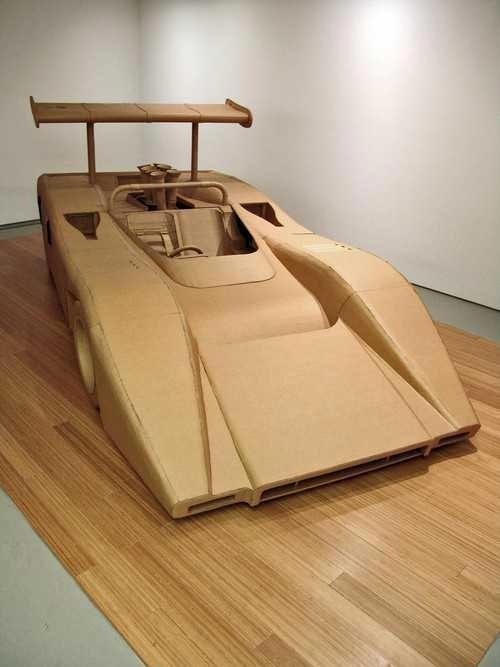 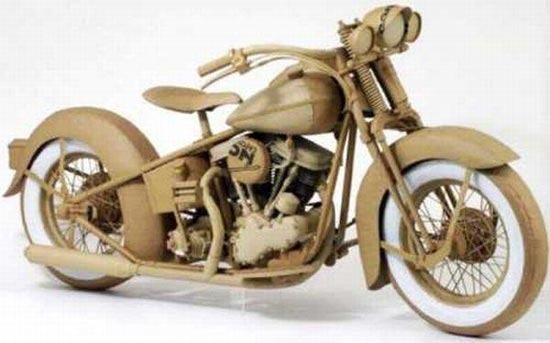 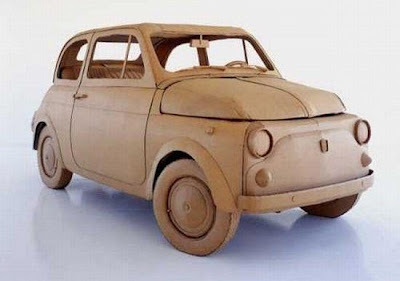 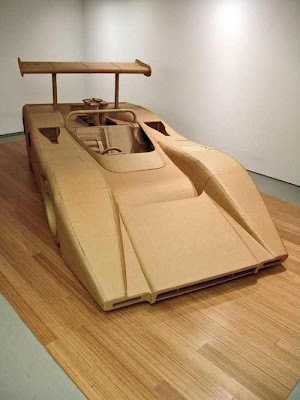 Cool creations, made out of cardboard and glue. 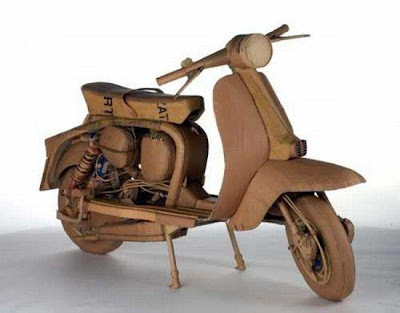 Artist Chris Gilmour is an English artist specialising in the creation of life-sized sculptures made of recycled cardboard and glue. 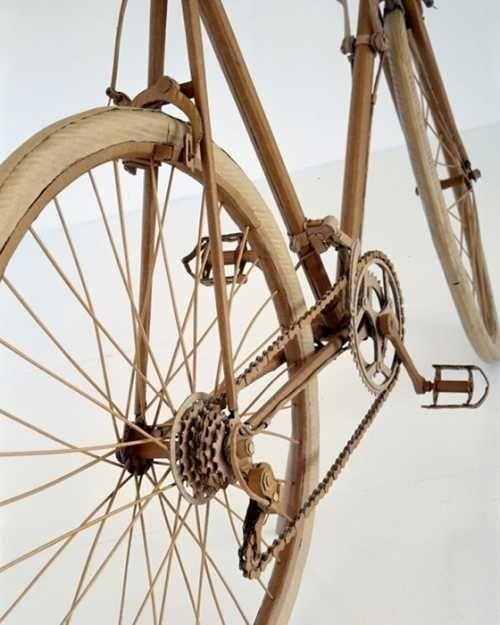 His works replicate in painstaking detail many objects and machines out of our ordinary lives, ranging from objects from daily life, such as bicycles, motorbikes, cars, cafetieres, chairs, etc. 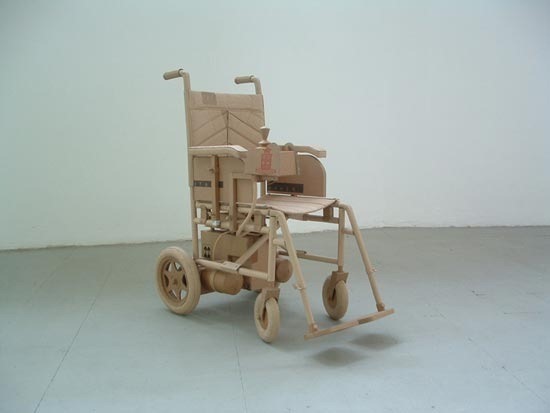 to small models of religious architecture, in an ironic "desecration” by the graphics of the packaging, by juxtaposing these religious symbols and the "profane" icons of modern consumer life and culture, such as condoms, toothpaste, etc.